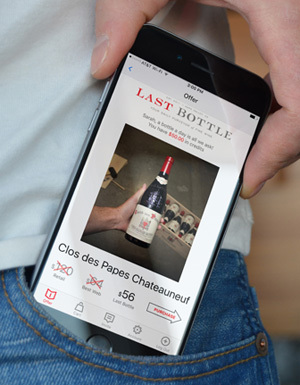 Have you been looking for a better way to shower people with Champagne from the VIP section of “da club”? Your thumb just doesn’t afford the precision spray you need to make it rain on every corner of the dance floor. 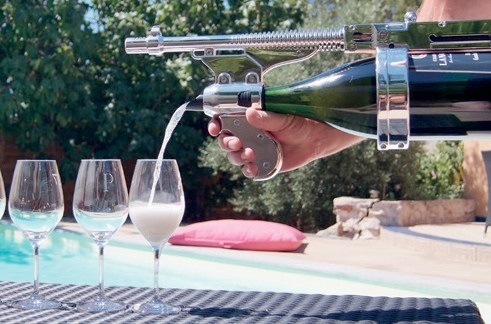 Now you can summon your inner Scarface thanks to the Champagne gun. Just load up your “party weapon” with your favorite high end bubbles and prepare to turn up the party like a true boss. 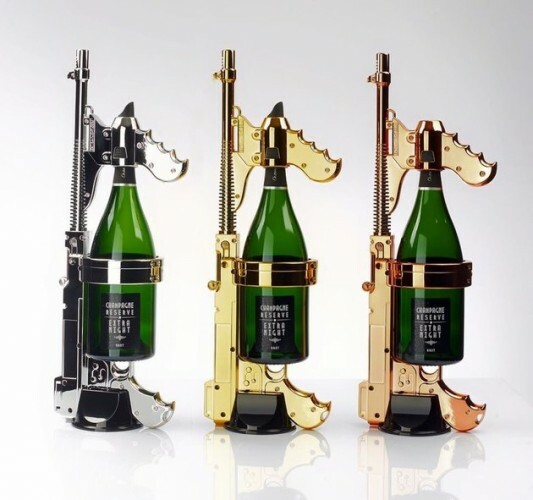 The Champagne gun was created by French company Extra-Night, and is now available in the United States from the self-proclaimed “King of Sparklers,” nightclub supplies expert Jeremy Touitou. It’s pretty simple to use – just attach a magnum of your favorite bubbles, shake it up, and enjoy 23 feet of high powered bottle service. While showering folks on the dance floor seems like the obvious play, the promotional video offers other creative ways to use it, like for spontaneous Champagne showers on a boat or topping off your indoor pool with some Blanc de Blancs. Maybe you want to turn it down for a moment, in which case you can use the spout attachment for a normal pour. Luckily you don’t need to own a Miami club to get your own bubbly blaster. It’s for sale on their website for $459. Perhaps their next venture should be a Benjamin-burning flamethrower, or even a Prosecco Pistol for us poor folk.